The party said the Central Bank governor is entitled to his own opinion as an individual but should not be using his role to endorse the treaty. SINN FÉIN HAS criticised the governor of the Central Bank for calling for a Yes vote on the upcoming referendum on the fiscal compact treaty. The party’s spokesperson on foreign affairs Padraig Mac Lochlainn said Honohan was entitled to his own opinion as an individual but should not be using his role to endorse the treaty. Honohan said last night that ratifying the fiscal compact treaty was the “safer alternative” for Ireland. “Every individual is entitled to their own opinion in this referendum,” said Mac Lochlainn. “Vested interest groups and political parties are entitled to lobby for and advocate their position. Sinn Féin is clearly advocating a No position”. But public servants, which Governor Honohan is, are paid by the taxpayer and therefore representative and accountable to all taxpayers. Not all taxpayers endorse this Treaty and not all taxpayers will be happy hearing the Governor of their central bank wade into the political arena to advise them how to vote. Mac Lochlainn said that the Central Bank governor had a “very particular role to play for the State” which he should be concentrating on. The referendum should not be biased by public figures representing their own view because they have the access to do so, when so many others have not. 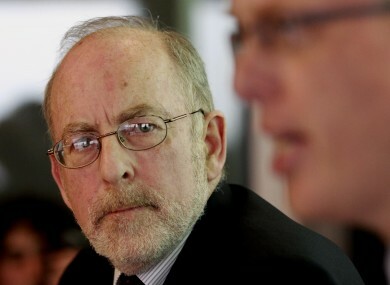 In a speech at the annual meeting of the Irish Economic Association in Dublin, Honohan said that the treaty’s guidelines offered “considerable discretion and judgement” for fiscal policy in Ireland. Email “Sinn Féin criticises Honohan's call for a Yes vote”. Feedback on “Sinn Féin criticises Honohan's call for a Yes vote”.